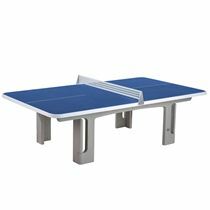 The table has a steel cladded and reinforced polymer concrete top that is 30mm thick and provides superior durability and ball response. 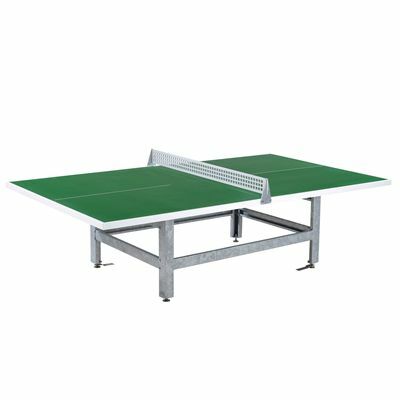 It has a steel galvanised base and a heat-galvanised profile steel stand with ground anchoring. 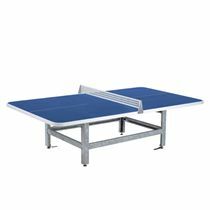 The pitch markings are moulded onto the table to ensure that they will not be scrubbed off or damaged. for submitting product information about Butterfly S2000 Standard Concrete Steel Table Tennis Table We aim to answer all questions within 2-3 days. for submitting product information about Butterfly S2000 Standard Concrete Steel Table Tennis Table. We aim to answer all questions within 2-3 days. If you provided your name and email address, we will email you as soon as the answer is published. for submitting product review about Butterfly S2000 Standard Concrete Steel Table Tennis Table.